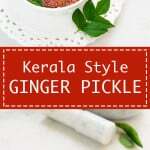 This Kerala style Ginger chutney or Puli Inji is an integral part of Onam sadya. It has bold flavors from ginger, jaggery and spices which are used to make this. 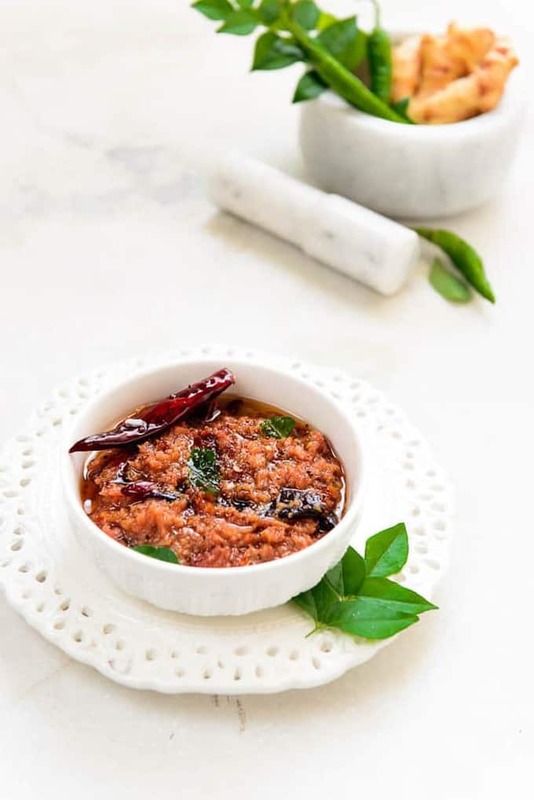 To cook Puli Inji in a traditional way, try to use the darkest of the jaggery and tamarind. The dark color of Jaggery and Tamarind gives Puli Inji it’s gorgeous color. 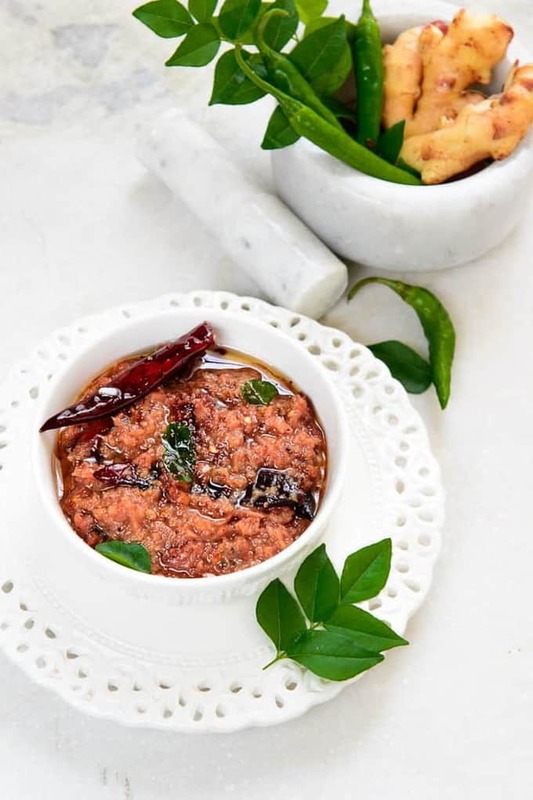 This Ginger Chutney can be served with Dosa or along with Dal Rice. This chutney can be stored for a few weeks under refrigeration and goes well with rice. Though I like Nimbu Hari Mirch ka Achar and other chutneys like more and I relish it often with piping hot parathas but after eating Puli Inji, I have literally started loving it more than the former. This Ginger Chutney can be stored for 15 days easily in refrigerator and tastes great with any kind of Indian meal. Super scrumptious to relish, this pickle definitely deserves to be made at your home for the season for sure. Here is how to make it. Once the oil is hot, add mustard seeds, dry red chilies, heeng and curry leaves and fry for a few seconds. Add grated ginger and fry till slightly browned. Keep stirring all the time. Squeeze the tamarind and add the water in the pan. Add turmeric powder, jaggery and salt and cook for 3-4 minutes. Add fenugreek powder and cook for another 2 minutes. Store Puli Inji in a clean glass container in refrigerator for a few weeks.